Both Ubuntu and Mac OS X come with pre-installed VNC solutions. 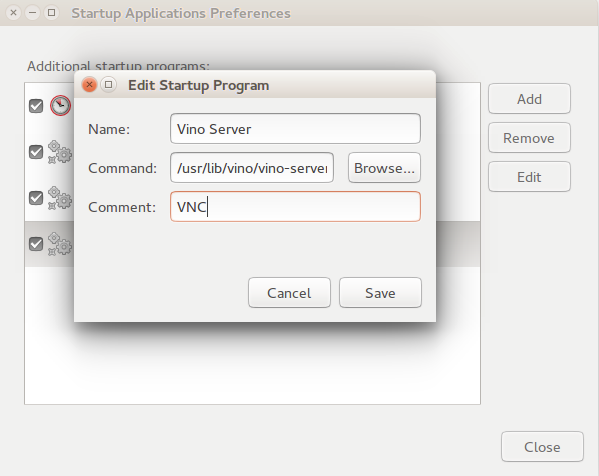 The vino package in Ubuntu is a VNC server for GNOME. 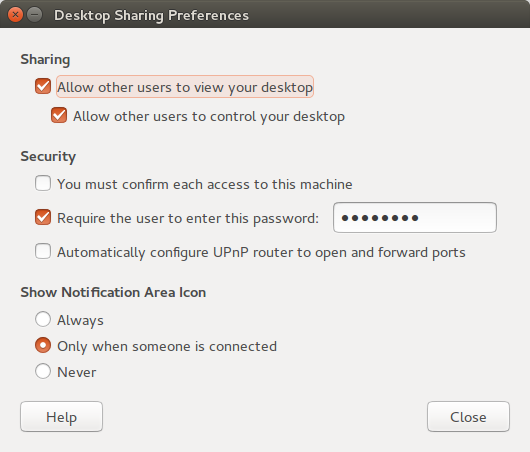 To enable screen sharing one can start Desktop Sharing Preferences and enable an option to allow other users to view desktop. 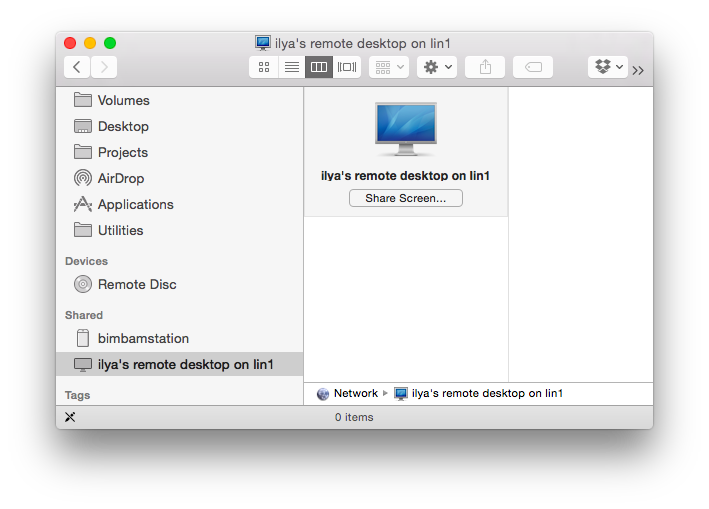 If you are using a Mac on the same network your Linux system should appear in the Shared tab in the Finder. 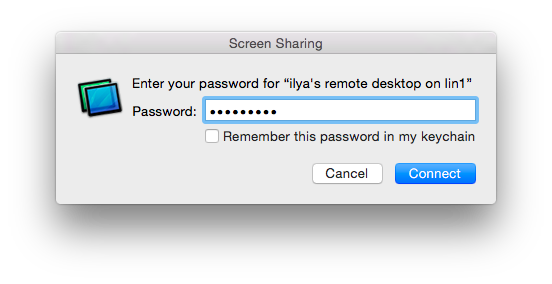 Clicking on Share Screen will invoke Mac’s VNC utility and prompt for the password. you might need to disable encryption on the server (Ubuntu) side by running the following command. or you can open an XTerm and start a VNC session from it specifying the IP address and port of the target system. command to you Startup Applications. and change the port setting from the default to some value in the 10,000-64,000 range. To do that change the line “Port 22” in /etc/ssh/sshd_config to the chosen value and run restart the server.